Marc Lipsitch is Professor of Epidemiology and Director of the Center for Communicable Disease Dynamics at the Harvard T.H. Chan School of Public Health. He is an author of more than 250 peer-reviewed publications on antimicrobial resistance, epidemiologic methods, mathematical modeling of infectious disease transmission, pathogen population genomics, and immunoepidemiology of Streptococcus pneumoniae. Recently he has had a growing interest in the use of transmission-dynamic simulations to improve the design of randomized and observational studies of infectious disease interventions. He has also begun to contribute to topics in bioethics related to infectious diseases and clinical trials in emergencies. He was a co-founder of the Cambridge Working Group in 2014, whose efforts helped to initiate a pause in US government funding for research involving the creation of potential pandemic pathogens, such as transmission-enhanced avian influenza strains. He has written extensively on aspects of science policy in relation to such studies. Dr. Lipsitch has received awards for research articles, mentoring and journal reviewing. In 2014 he received the Robert Austrian Award for contributions to pneumococcal research, and in 2015 was elected a Fellow of the American Academy of Microbiology. He is or was on the editorial advisory boards/associate editor of eLife, PLoS Medicine, Journal of Infectious Diseases, American Journal of Epidemiology, Epidemiology, and Epidemics. He has served on the President’s Council of Advisors on Science and Technology Working Group on H1N1 Influenza, as well as CDC’s Team B for the 2009 H1N1 pandemic and several advisory groups during the 2014-5 Ebola outbreak in West Africa. He has provided advice to the Food and Drug Administration, World Health Organization, Centers for Disease Control, Congressional Budget Office, Defense Science Board, several pharmaceutical companies and the governments of Canada and Mexico. 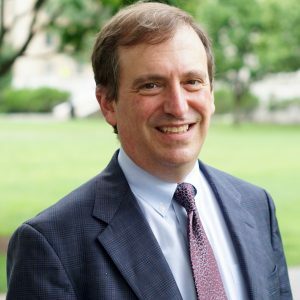 Dr. Lipsitch joined the faculty of the Harvard School of Public Health in 1999, after a postdoctoral fellowship at Emory University with Dr. Bruce Levin, a visiting scientist appointment at CDC, and a D.Phil. in Zoology from the University of Oxford, where he studied with Drs. Robert May and Martin Nowak.